There are more major highways that intersect in the state of Indiana than there are in any other state in the country. The state also boasts the most miles of Interstate Highway per square miles than any others, lending itself to the nickname of the “Crossroads State.” This has played a significant part in the popularity that arose in Indiana over drive-in theaters. 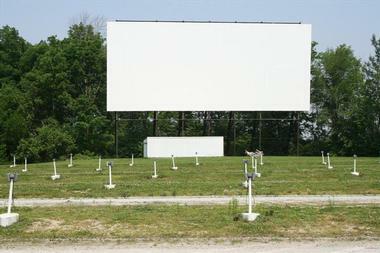 The state of Indiana is in fact the fourth largest state in America in number of drive-in theaters still in operation. The Starlite Drive-in theater is a family owned and operated outdoor movie theater that was bought by the Barnhart family. This family also runs the KJB Theaters chain of movie theaters. The Starlite opens seasonally, showing double features of first-run films on a single large outdoor movie screen. Customers can bring their own beverages and food as long as they purchase a food permit for a small fee. Pets are also permitted as long as they are leashed and well behaved. Both the ticket booth and the concession stand only accept cash. The drive-in has a capacity of around four hundred vehicles. 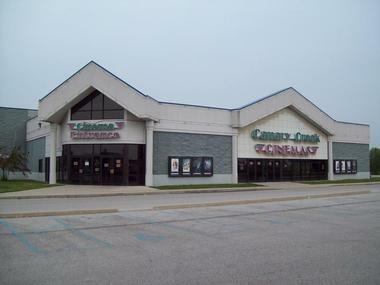 The Canary Creek Outdoor Cinema is one of the newer drive-in movie theaters in the state of Indiana. The outdoor movie theater first opened in the year 2004 and is operated by Canary Creek Cinemas. 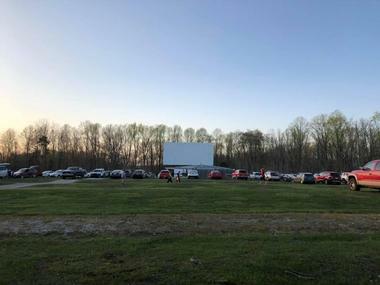 The drive-in theater features a single screen that shows double features on a seasonal basis, beginning in the spring season and operating until the fall season. A variety of food, candy, and drinks can be found at the concession stand inside the Canary Creek Cinemas, as well as restrooms. Audio for the movies screened at the Canary Creek Drive-in is provided through car stereo. The Auburn Garrett Drive-in first opened to the community back in 1951 with a capacity of only around 150 vehicles. However, the outdoor movie theater has grown many times over the years and now has a capacity of more than four hundred cars. The Auburn Garrett is open seasonally, from April until September. Before Memorial Day and after Labor Day, it is open only on Friday and Saturday nights. 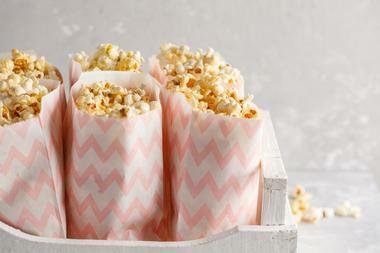 Between the two holiday weekends, customers can also watch movies on Sundays. The cash-only drive-in movie theater shows double features, and occasionally even triple features, with audio provided through FM radio. The Georgetown Drive-in first opened in 1951 as an outdoor movie theater with just one screen. 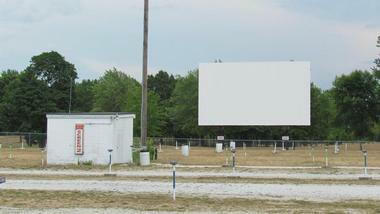 The drive-in theater has since added an additional large outdoor movie screen, making it a twin screen drive-in. The movie theater shows double features, and sometimes triple features on both screens during its open season. Audio for the films is accessed through FM radio, however, the Georgetown Drive-in also offers traditional speakers that attach to car windows for customers who want more of an old-fashioned drive-in movie experience. There is also a playground for children to play on before the movie starts and between films. The Huntington Drive-in movie theater is one of the oldest drive-in theaters in the state of Indiana. The outdoor movie theater first opened back in the year 1951 and can accommodate up to five hundred vehicles. The Huntington Drive-in originally opened as a single screen drive-in theater, with a second large outdoor movie screen added to the grounds in 2012. The drive-in now shows double features on its two large screens, and contains a concession stand and a play area for children as well. The theater is open seasonally from April until some point during October, depending on the weather. The last remaining drive-in theater out of the ten that were once in the area of Indianapolis, the Tibbs Drive-in opened originally as just a single screen drive-in theater back in 1967. 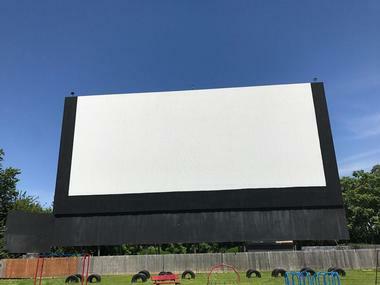 Two additional large outdoor movie screens were added to the drive-in later in 1972. A fourth screen was added in 2012 along with other improvements. The Tibbs is open seasonally during the warmer months of the year and shows double features of currently released films. Customers can access the audio via their car’s FM radio, or they can bring a portable radio to watch the film outside of their car. The Melody Drive-in movie theater is another one of the oldest drive-in theaters in the state of Indiana, opening for the first time back in the year 1949. The drive-in has been in continuous operation ever since. 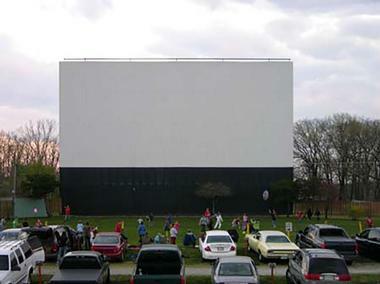 The Melody features two huge outdoor movie screen and has a maximum capacity of a bit less than five hundred vehicles. 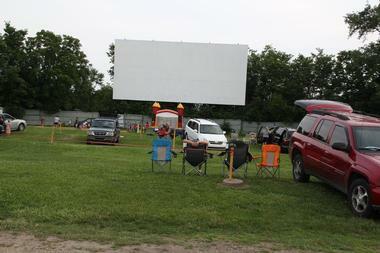 The drive-in theater is open seasonally and screens double features of first-run movies. The concession stand offers a variety of typical movie theater food, including nachos, popcorn, and pretzels, as well as some not so typical snacks, such as breadsticks and chicken wings. The CenterBrook Drive-in is still going strong, even after sixty-five continuous year of operation. 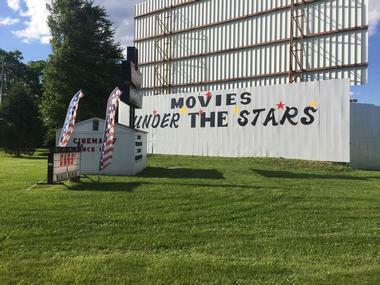 Located in the town of Martinsville in Indiana, the outdoor movie theater is open on a seasonal basis, running from the month of April until the month of September, screening double features of movies five nights a week. The CenterBrook is closed on Mondays and Wednesday during the season. The ticket booth only accepts cash for admission into the drive-in, however, the concession stand accepts Mastercard, Visa, and Discover cards. FM radio is used to provide the audio for films, but window speakers are available upon request. The Holiday Drive-in movie theater has existed in Mitchell, Indiana since the year 1962. The outdoor theater is a single screen drive-in that screens double features. The Holiday is open seasonally, offering an outdoor movie experience to the community during the late spring, summer, and early fall seasons. Customers will find a large selection of food and beverages available at the concession stand, including nachos, burgers, hot dogs, chicken tenders, philly cheese steaks, cheese sticks, onion rings, fries, funnel cakes, mini doughnuts, smoothies, and a variety of soda. The drive-in movie theater shows films on Thursdays, Fridays, Saturdays, and Sundays.. The Lake Shore Drive-in is a twin screen outdoor movie theater that first opened back in the year 1949, making it one of the oldest drive-in theater in the state. The drive-in theater is still thriving today as it did back then. The Lake Shore, situated in the town of Monticello, operates on a seasonal basis each year. Originally opening in 1949 as a single screen drive-in, the outdoor movie venue now features two large movie screens and shows two films for the price of one. 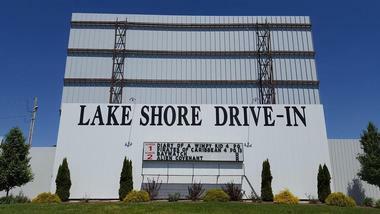 The Lake Shore Drive-in theater is able to accommodate up to 570 cars. The Tri-Way Drive-in once only consisted of a single large outdoor screen back in the year 1953. It now features four large screens that are used to current releases from April until September. 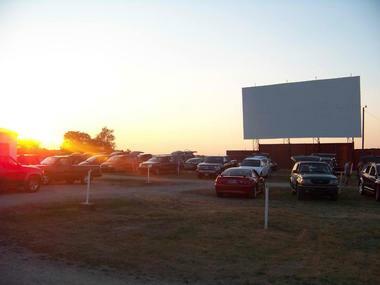 The drive-in theater’s name comes from it being located in close proximity to three highways. Customers can bring in their own drinks and food, provided they purchase a food permit upon entering the Tri-Way. The drive-in has a capacity of more than five hundred vehicles and the property also includes a playground area for kids. Vintage intermission trailers are often played during showings as well. The Holiday Drive-in, located in the town of Rockport, is the largest drive-in movie theater in the state of Indiana. The drive-in gets its name from being less than a thirty-minute drive away from the Holiday World theme park in Santa Claus, Indiana. Many people visit the park during the day and the drive-in at night. The drive-in originally only had one large outdoor movie screen when it opened back in the year 1955. 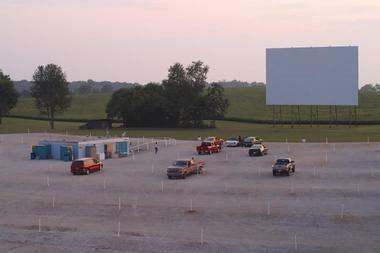 Over the years, additional screens have been added to the drive-in, with a sixth screen added in 2016. The cash-only Holiday Drive-in can accommodate more than 1,100 vehicles. 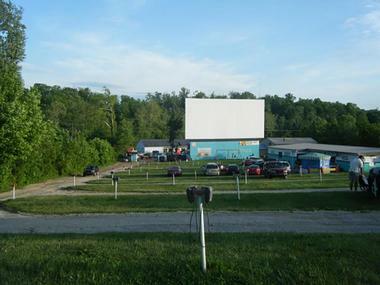 The Skyline Drive-in movie theater is located in Shelbyville, Indiana. The single-screen outdoor movie theater shows double features of first-run films. Customers are not allowed to bring in any outside drinks or food as the drive-in theater relies on sales from its concession stand. 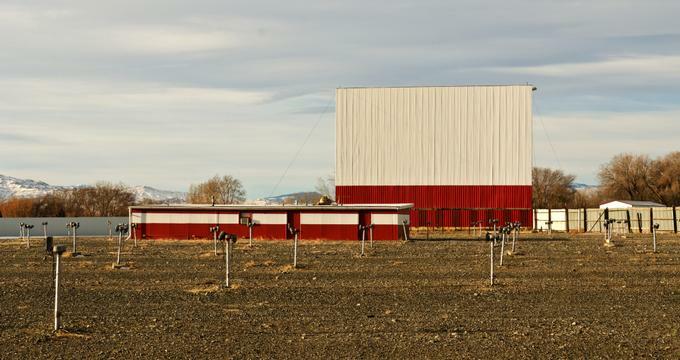 The Skyline is, however, one of only a few drive-in movie theaters that allow customers to bring their pets with them to see a movie, as long as pets are leashed at all times. The drive-in also features the Skycade, which offers video games and pinball machines for customer to play while they wait for the movie to start. The Cinema 67 Drive-in theater located only five miles to the north from Spencer, Indiana is a single screen outdoor movie venue that is very well maintained. 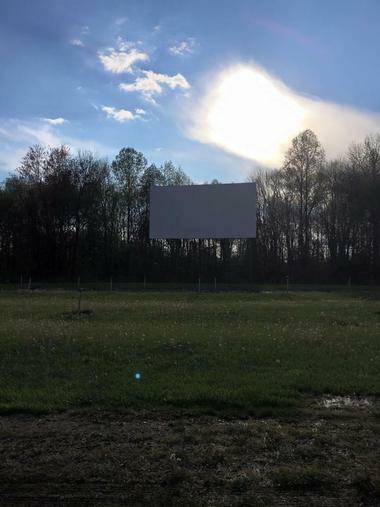 The drive-in has been in continuous operation for more than sixty years, and has one of the longest bouts with a single owner, having been under the same ownership for more than forty years. The massive outdoor movie screen at the Cinema 67 measures sixty-five feet in width and lights up every night with double features from April until sometime in October. The drive-in fills up early on the weekends during summer. The Moon Lite Drive-in Theater is one of the newest drive-in movie theaters located in the state of Indiana. The drive-in movie theater is in actuality a refurbishment of the historic Terre Haute Drive-in theater. This old outdoor movie venue originally opened back in the year 1958, but closed after less than thirty years in 1985. 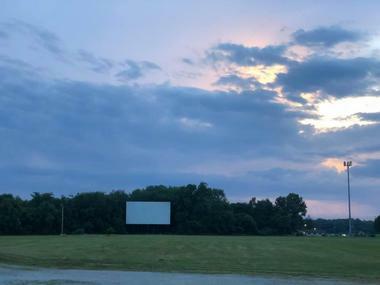 The drive-in was bought in 2017 by the KJB Theater chain, the business that also owns the Starlight Drive-in theater in Bloomington among other drive-ins. The Moon Lite features a single large outdoor screen and has a capacity of around six hundred cars. M.E.L.S. Back to the 50's Drive-in theater operates on a seasonal basis. Audio for the films screened at the outdoor movie theater is provided through FM radio, letting customers listen to the movie from the speakers in their car. The drive-in first opened back in 1946, and can now accommodate more than three hundred vehicles each night. The concession stand at the M.E.L.S. 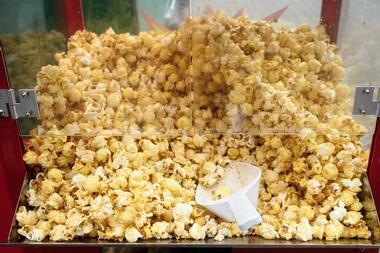 serves a wide variety of items in addition to the usual freshly popped popcorn, assortment of candy, and soda. Customers can also get several different sandwiches or a veggie box for healthier options. The 49’er Drive-in movie theater features one massive outdoor movie screen. The outdoor movie venue has been showing films to both residents and visitors of the Valparaiso area since the year 1956. The 49’er Drive-in has been named as one of the “Top Ten Drive-Ins” in the United States by USA Today. The drive-in theater shows double features of current movies in an old-school drive-in setting. The concession stand at the drive-in offers popcorn, candy, burgers, nachos, onion rings, and hot dogs, as well as handmade pizza, twelve ice cream flavors, funnel cakes, chicken strips, and Italian beef sandwiches. The Bel-Air Drive-in theater originally opened back in the year 1957, when the drive-in boom of America was at its highest. It closed for a while in the year 1987, and was reopened by new owners in the year 1996 and is now going strong. The concession stand offers a variety of candy, hamburgers, hot dogs, pizza, tenderloin, fries, nachos, fried pickles, mozzarella sticks, dill pickles, soft pretzels, and popcorn. Double features are shown at the Bel-Air Friday nights and Saturday nights, screening an array of films, from action thrillers to family favorites. Up to 300 cars can be accommodated at the drive-in. 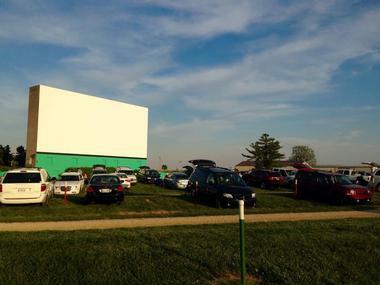 The 13-24 Drive-in movie theater is the largest single screen outdoor venue in the state of Indiana. The drive-in theater opened back in the year 1950, and is located in Wabash, Indiana, approximately sixty miles away from the city of Indianapolis. The outdoor movie theater can hold up to seven hundred vehicles for a showing, and is open seasonally from the month of April until the month of September. In addition to its very affordable ticket prices, the 13-24 offers a season pass. There is drive-in memorabilia displayed on the property, as well as traditional window speakers. 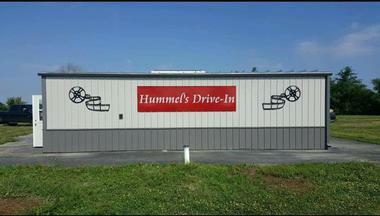 Located in Winchester, Indiana, the Hummel Drive-in is a single-screen drive-in theater that originally opened back in 1949 as the Airline Drive-in. The drive-in movie theater has since expanded into a twin-screen drive-in that shows double features of first-run films. The outdoor movie theater closed in 2014, but then reopened in 2016 with the new name of the Hummel Drive-in. Both the ticket booth and the concession stand at the Hummel only accept cash, so customers may as well leave their credit cards at home. A few personal radios are available for those who want to sit outside their car.